1. Pinks Mammoth is a huge custard apple with an outstanding taste. It is named after Mr. Pink, the man who introduced it to Australia. Its sweet and melting flavor makes it the most popular variant across the world. It is quite huge and could produce fruit weighing as much as 3 kg. This variety of custard apple is renowned for possessing almost no seeds. 2. African Pride is a ten feet tall tree, bearing small sized custard apple. The tree bears heart shaped fruit with a relatively thick skin. The fruit has more seeds than pinks mammoth and yields are quite high. It is an early maturing fruit that makes it the most commercially popular variety of custard apple. The fruit weighs between 500 grams to 800 grams and is mostly utilized for preparing salads and other savories. 3. Late Gold is a stunning golden bronze custard apple with a soft skin. This variety of custard apple is quite rare and is mostly available in Northern Rivers. 4. Geffner is an Israeli variety of the custard apple with an exceptionally amazing taste. 5. Hilary White has a relatively smooth skin and is average in size. It tastes same like the other varieties of custard apple. 1. Helps To Gain Weight: Custard apple is an ideal snack and/or dessert for those who wish to put on some weight. A calorie-laden fruit, the sugars present in it make peps up the metabolic rate, thus, stimulating the appetite levels. The more your appetite is, the better the food intake will be. This, in turn, can help you gain weight. 2. For A Better Immune System: Custard apples are excellent sources of the natural antioxidant Vitamin C. This vitamin is also renowned for its innate anti-inflammatory and immune boosting properties. Include just one serving of this creamy fruit in your daily diet for a better resistance against infectious agents. It scavenges harmful free radicals in the body, preventing the onset of various illnesses and diseases. 3. Replenish Your Energy Levels: Custard apple is an excellent source of energy. It helps to fight exhaustion and eliminates muscle weakness. 4. Natural Anti-cancerous Properties: 5. For Better Brain Health: Custard apple is a good source of B complex vitamins, which controls the GABA neuron chemical levels in the brain. This helps to calm down stress, tension, irritability and depression. It also protects from Parkinson’s disease. 100 grams of custard apple contain 0.6 grams of vitamin B6, amounting to about 20% of the daily recommended value.The bark of custard apple contains astringent properties and tannins, which is utilized for making herbal supplements. These supplements help in the treatment of several types of cancer and tumors. The fruit contains compounds like acetogenin and alkaloids that reduce the risk of cancer and renal failure. It acts against cancer cells, without adversely affecting healthy cells. Antioxidants such as asimicin and bullatacin are also found to have anti-cancer and anti-helminthes properties. These antioxidants neutralize the effects of free radicals, preventing cancer. It also contains significant fiber, which protects the colon membrane by warding off toxic substance from the gut, reducing the risk of liver and colon risk. It also provides protection from breast cancer. 5. For Better Brain Health: Custard apple is a good source of B complex vitamins, which controls the GABA neuron chemical levels in the brain. This helps to calm down stress, tension, irritability and depression. It also protects from Parkinson’s disease. 100 grams of custard apple contain 0.6 grams of vitamin B6, amounting to about 20% of the daily recommended value. 6. For A Strong Dental System: The skin of custard apple is helpful for fighting against tooth and gum pain. 7. Keep Anemia Away With Custard Apple: The high levels of iron in custard apple are very beneficial for curing anemia. The fruit is excellent in treating vomiting, gout and vitamin B6 deficiency. 9. Lower The Risk Of Arthritis: The high amount of magnesium in custard apple equalizes the water balance in the body and removes acids from the joint, reducing the symptoms of rheumatism and arthritis. Regular consumption also helps to fight muscle weakness. Custard apple also contains a decent amount of calcium, which is vital for bone health. 10. For Better Cardiovascular Health: The well-balanced ratio of sodium and potassium in custard apple regulates and controls blood pressure fluctuations in the body. The high levels of magnesium in custard apple unwinds the smooth muscles of the heart and calms the jerks and cramps, thus preventing heart attack and stroke. Niacin and fiber in custard apple lowers bad cholesterol and increases good cholesterol in the body. It also prevents the absorption of cholesterol in the gut. Custard apple also prevents the free radicals from attacking lipid, promoting heart health. 11. Thwarts Off Diabetes: The fiber in custard apple slows down the absorption of sugar in the body, reducing the risk of Type two Diabetes. 12. For A Stronger Digestive System: This delicious fruit is very effective for treating indigestion. It flushes out the toxins from the intestine, aiding in proper functioning of the bowels. It also prevents stomach related diseases like heartburn, ulcer, gastritis and acidity. Custard apple in its unripe form is further dried and crushed to treat diarrhea and dysentery. One medium sized custard apple contains 6 grams of dietary fiber, amounting to almost 90% of the recommended amount. Fiber adds bulk to the stools, relieving constipation. 13. Good For Fetal Skin And Hair: Custard apple contains high amounts of vitamin A and C, which is very beneficial for maintaining the skin, eyes and hair of the fetus. 14. Prevents Premature Labor: Custard apple is an excellent source of copper. It is a trace mineral which helps the body to form hemoglobin. Pregnant women need 1000 micrograms of copper each day for proper development of the fetus. Low levels of copper in the body can lead to premature birth in the child. Consuming custard apple during pregnancy is very healthy. 15. Good For Fetal Brain Development: Regular consumption of custard apple is also good for the growth of the baby. It also helps in the development of the brain of the fetus. 16. Excellent Source Of Iron: Custard apple is a rich source of iron, which reduces the risk of premature birth of the baby. It reduces the extent of labor pain in expectant women. It is also known to increase the milk production in pregnant and lactating women. 17. Keeps Infections At Bay: Custard apple contains high amounts of antioxidants, which keeps infection at bay. 18. Natural Antidote For Morning Sickness: It also cures morning sickness in pregnant women. It fights nausea, numbness, food cravings and mood swings during pregnancy. 19. Good For Skin Rejuvenation: Custard apple is not only a delicious fruit, but is excellent for the skin as well. It contains nutrients like vitamin C, vitamin A, vitamin B, antioxidants, which are required for rejuvenating the skin’s health. 20. Naturally Heals The Skin Infections: The paste of custard apple is used to treat ulcer, abscesses, and boils. Vitamin C in custard apple helps in the healing of wounds and forming cartilage, tendons and ligaments. Consuming custard apple juice on a regular basis stimulates the development of new cells in the layers of the skin. It also assists in healing of abrasion and cuts. 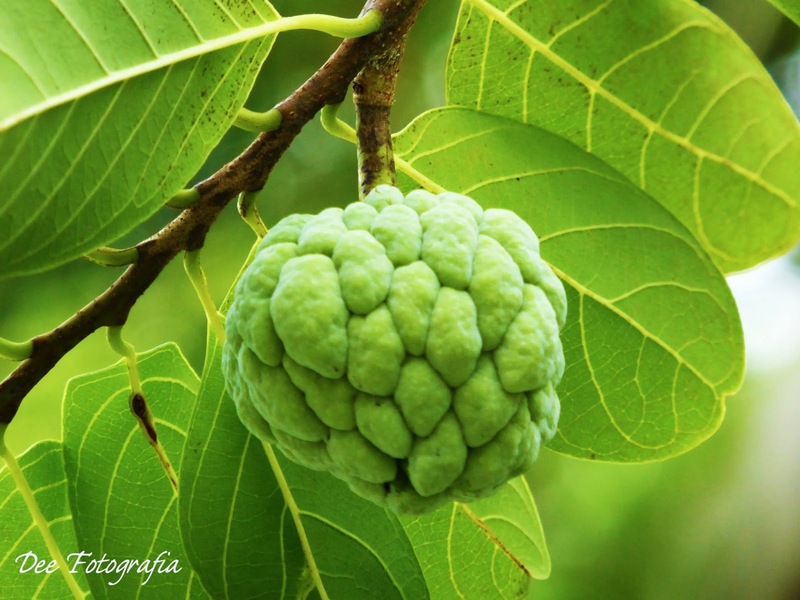 The latex of custard apple tree when applied on the skin treats skin diseases like inflammation, eczema and psoriasis. 21. Delays Ageing And Keeps Skin Youthful: Regular consumption of custard apple thickens and stimulates the collagen to reduce wrinkles and fine lines. It increases the deposition of collagen and slows its breakdown, improving the elasticity of the skin. It also improves hydration in and around the cells. Vitamin C in custard apple combats free radicals in the body, providing a healthy, flawless and glowing skin. It promotes a healthy cell membrane. The antioxidants in custard apple neutralize free radicals, hastening the process of regeneration. It helps to delay the signs of ageing like age spots and blemishes. The antioxidants fight the harsh rays of the sun, protecting from sun damage. Consumption of custard apple helps in the regeneration of skin cells and contributes in making the skin youthful. 22. Keeps Skin Cancer Away: The acetogenin compounds in custard apple help in the eradication of pre-cancerous skin lesion, preventing skin cancer. 23. Lowers Pigmentation Problems: Custard apple decreases the clustering of melanin granules, reducing brown spots and pigmentation. It also helps to reverse the pigmentation caused due to the free radicals. 24. Eases Rosacea Symptoms: The high levels of iron in custard apple increase blood circulation, reducing the symptoms of rosacea. 26. Natural Detoxifying Agent: Custard apple is loaded with soluble fiber and antioxidants, making it an excellent laxative. Regular consumption of custard apple helps to get rid of toxins and waste, giving you a healthy and glowing skin. 27. Helps To Eliminate Lice: Unripe custard apple fruit powder can help you to get rid of lice. Mix the powder with water or coconut oil and apply it on the scalp. Wash it off after 10 minutes to treat hair lice and nits. 28. For Better Collagen Levels: Vitamin C in custard apple contributes to the development of collagen, a protein which makes up the major portion of our hair and scalp. 29. For A Luxurious, Moisturized Hair: Custard apple seed oil is useful for taming wavy and coarse hair. It hydrates and moisturizes the scalp, making the hair lustrous, voluminous and shiny. The high levels of vitamin A in custard apple seed oil hydrate the hair without weighing it down. 30. Prevents Premature Graying: The high levels of copper in custard apple contribute to the formation of melanin, preventing premature hair graying. It also maintains the natural color of the hair. 31. Natural Antidote For Scalp Infections: The vitamin C and antioxidants in custard apple regulate the sebum production in the scalp, reducing dandruff and flaky skin. 32. For Better Hair Growth: It inhibits scalp inflammation, preventing hair fall. It also facilitates the absorption of nutrients, providing nourishment to the hair. The high amount of iron in custard apple improves blood circulation in the scalp, stimulating the follicles to promote hair growth. A decoction made of custard apple leaves promote healthy blood flow during menstruation. The decoction can also be used to relieve dysentery, cold and fever. The juice of unripe custard apple is useful for treating insect bites. A paste made of custard apple leaves applied to the wound not only helps in healing, but also destroys the worms infested around the wounds. Add the decoction of custard apple leaves to your bath water to alleviate rheumatic pains. Sniffing crushed leaves of the custard apple plant prevents fainting spells and dizziness. Add a few drops of the decoction in the nose can bring an unconscious person back to consciousness. Custard apple is very cold in nature, so do not consume it in excess amounts as it can make one sick. The seeds of custard apple fruit are poisonous. Do not consume it. Since these fleshy, creamy fruits are rich in sugar, diabetes patients are advised to not consume custard apple in high amounts.